DZ Security comprehends two types of newly invented technologies. DZ Authentication (DZA) functions as a heightened security mechanism and constantly monitors the users biometric data and unique behavioural patterns. By gathering this data, the AI accurately recognizes authenticated users while excusing users from inconveniences, providing security to its full potential. It is a magic-like identity authentication solution that challenges common conceptions of what security is. DZ Distribution (DZD) splits and distributes files within the cloud, giving each split file an encryption code that prevents access of non-authenticated identities. When retrieving the file, DZA relies on identity authentication, providing a world-class easy, safe and secure file distribution solution. If you have any question about the Tokyo contest , Please contact the following partner. Born in Tokyo. 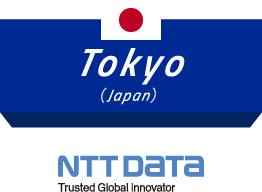 Joined the Japan Patent Office in 2006 after graduating from the Graduate School of Science and Engineering, Tokyo Institute of Technology. Has been involved in the patent examination. Started a startup support team in July 2018.